Since we have these promises, beloved, let us cleanse ourselves from every defilement of body[a] and spirit, bringing holiness to completion in the fear of God. For I feel a divine jealousy for you, since I betrothed you to one husband,to present you as a pure virgin to Christ. 3 But I am afraid that as the serpent deceived Eve by his cunning, your thoughts will be led astray from a sincere and pure devotion to Christ. Religion that is pure and undefiled before God, the Father, is this: to visitorphans and widows in their affliction, and to keep oneself unstained from the world. The night is far gone; the day is at hand. So then let us cast off the works of darkness and put on the armor of light. 13 Let us walk properly as in the daytime, not in orgies and drunkenness, not in sexual immorality and sensuality, not in quarreling and jealousy. 14 But put on the Lord Jesus Christ, and make no provision for the flesh, to gratify its desires. But the fruit of the Spirit is love, joy, peace, patience, kindness, goodness, faithfulness, 23 gentleness, self-control; against such things there is no law. 24 And those who belong to Christ Jesus have crucified the flesh with its passions and desires.25 If we live by the Spirit, let us also keep in step with the Spirit. Therefore, my beloved, as you have always obeyed, so now, not only as in my presence but much more in my absence, work out your own salvation with fear and trembling, 13 for it is God who works in you, both to will and to work for his good pleasure.14 Do all things without grumbling or disputing, 15 that you may be blameless and innocent, children of God without blemish in the midst of a crooked and twisted generation, among whom you shine as lights in the world, 16 holding fast to the word of life, so that in the day of Christ I may be proud that I did not run in vain or labor in vain. Put to death therefore what is earthly in you: sexual immorality, impurity, passion, evil desire, and covetousness, which is idolatry. 6 On account of these the wrath of God is coming. 7 In these you too once walked, when you were living in them. 8 But now you must put them all away: anger, wrath, malice, slander, and obscene talk from your mouth.9 Do not lie to one another, seeing that you have put off the old self[c] with its practices 10 and have put on the new self, which is being renewed in knowledge after the image of its creator. No one who abides in him keeps on sinning; no one who keeps on sinning has either seen him or known him. 7 Little children, let no one deceive you.Whoever practices righteousness is righteous, as he is righteous. 8 Whoever makes a practice of sinning is of the devil, for the devil has been sinning from the beginning. The reason the Son of God appeared was to destroy the works of the devil. 9 No one born of God makes a practice of sinning, for God’s seed abides in him, and he cannot keep on sinning because he has been born of God. 10 By this it is evident who are the children of God, and who are the children of the devil: whoever does not practice righteousness is not of God, nor is the one who does not love his brother. I love my kids. Normally, I’m eager to accept their hugs and I’ll wrap them up in my arms at the slightest whim. 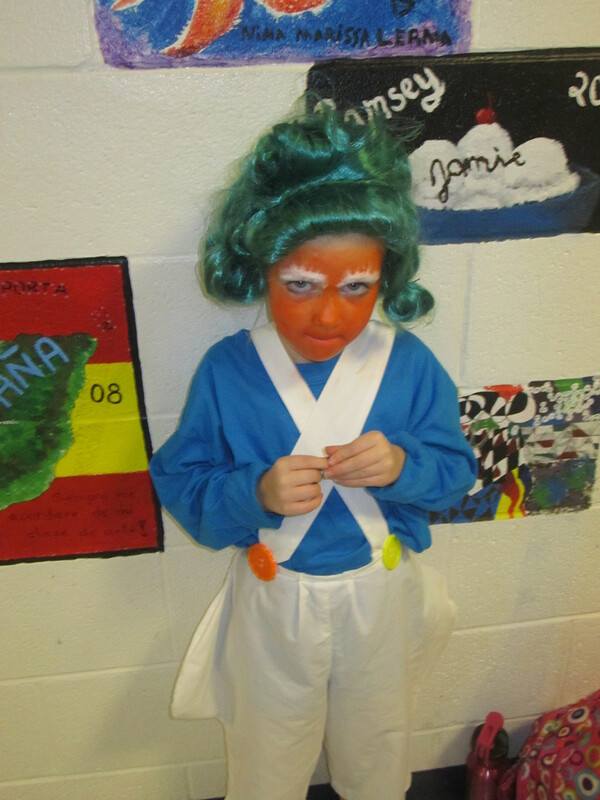 The other night, though, my daughter was fully decked out in her costume as an Oompa Loompa in a production of Willy Wonka, Jr, complete with thick, bright orange makeup all the way to her hairline and down to her neck. …And she wanted to hug me. …While I was wearing a white shirt. …A really, really white shirt. Did I mention she was orange? Really, really orange. In fact, I think Crayola should consider naming a new color “Oompa Loompa Orange” in her honor. So, I hugged her at first with an intricately choreographed dance, making sure her orange head never made contact with my clothing. She bobbed; I weaved. My goal here was a kind of sterile affection: Showing love without staining my clothes. I’ve learned this dance over years of practice as a mom. Kids, after all, come at me every day with Oreos on their hands and spaghetti sauce oozing from their fingers. More paint makes it onto them than every makes it onto paper and then they reach out and touch me to get my attention. In fact, most of my clothes bear the marks of their hands on my thighs (where they could reach when standing up as toddlers) and on my shoulders (from the times I picked those little ones up). When I read through the Gospels, I’m amazed at how Jesus essentially wore a white shirt and yet never failed to hug, squeeze, lift up, and cherish all those who came to him—even when they were covered in stains of sin, death, and all that was unclean. He never dodged them in attempts to escape the messiness of their lives. When the woman who had been bleeding for 12 years braved the disapproving crowd in order to reach Jesus, she was unclean. Continual bleeding meant continually being cut-off from public worship and physical contact with others. One brush of her skin against your arm and you’d be unclean, as well. Yet, she touched Jesus and He didn’t flinch or condemn her. He didn’t sidestep her presence. He healed her and set her free. When Jesus saw the coffin of a widow’s only son pass by surrounded by wailing mourners and his mother in despair, Jesus could have slipped away and ignored it all. Touching a dead body was a guaranteed mess, making you unclean by the law’s religious standards. Jesus did it anyway, though, telling the dead boy to arise and then watching this only son embrace his mother again. Jesus ate with the rabble, touched the eyes of the blind, and laid hands on the demon-possessed. His was a physical affection, the real and true fingerprints of God placed on undeserving lives and unclean situations. 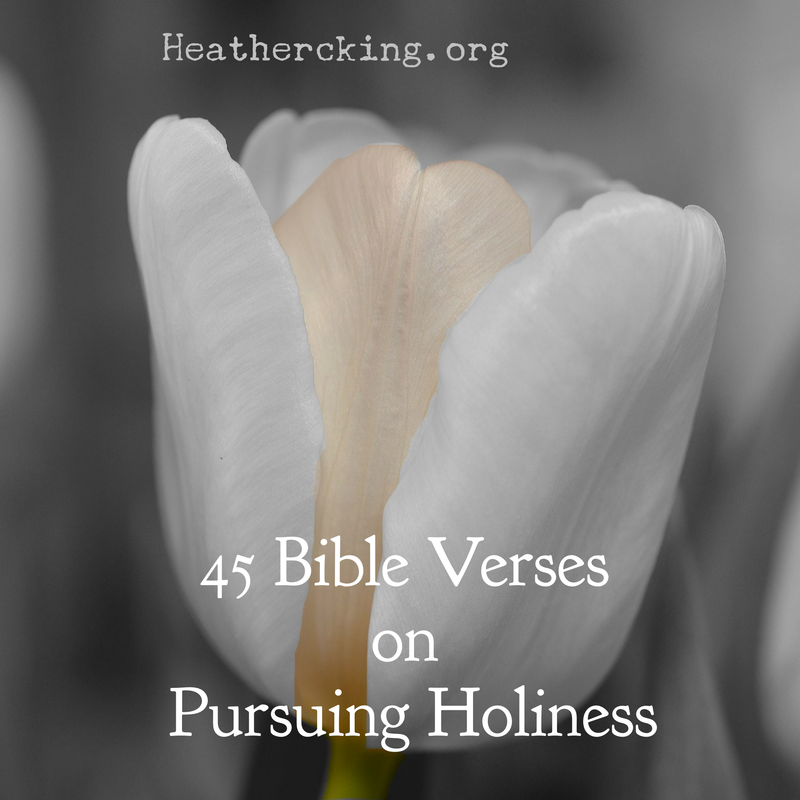 Yet, instead of being tainted or stained Himself, He brought purity to others. Too often we miss the significance of this fact: Jesus did what was unclean and yet nothing could penetrate the purity of the Son of God. He was sinless, blameless, totally righteous before God, but He didn’t use that as an excuse to separate Himself from others. Instead, it was His joy to absorb their stains of sin, now bleached white when laid at the feet of the Messiah. It’s what He did on the streets of Galilee and Judea and Samaria. It’s what He did on the cross. It’s what He does even now when we let Him get involved in the dirtiest, muckiest, and most sin-plagued aspects of our lives. That’s what John assures us when he writes: “If we confess our sins, he is faithful and just and will forgive us our sins and purify us from all unrighteousness” (1 John 1:9). This means we don’t need to hide away or shun his society. We don’t need to pretend the unclean blots on our lives don’t exist. It also means that we can follow his example by no longer worrying about our clean white shirts and start doling out affection without restraint, not avoiding the mess of others when it makes us uncomfortable. Like Jesus, we “walk in the way of love, just as Christ loved us” (Ephesians 5:2). Sometimes real love means getting messy, maybe even orange. My daughters and I reached a compromise. I announced that I didn’t want to grow a vegetable garden this year. It was too much work for too little result. It didn’t save money. It started out fun in April and ended up a horrible, rotten, ugly chore by the middle of July. Various ravenous insects destroyed and devoured my plants. 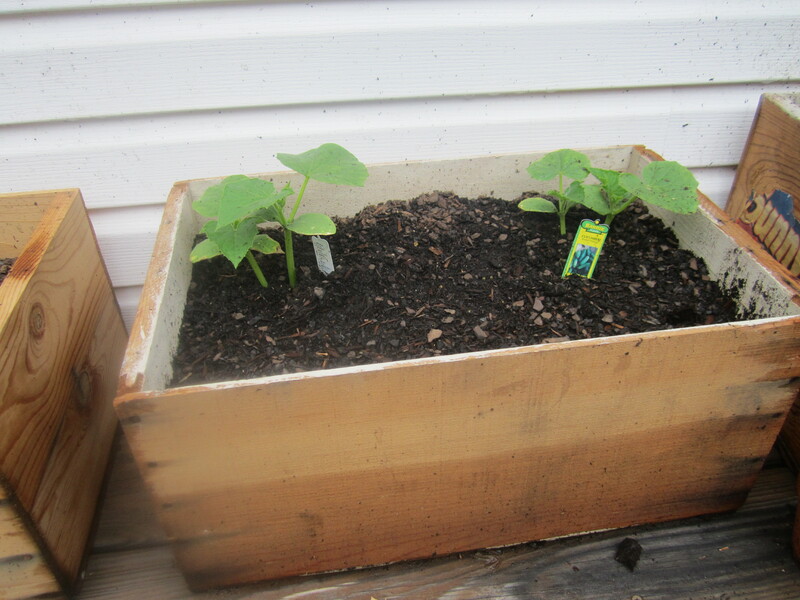 So we narrowed down the lists of vegetables we would grow and planted a container garden on our deck. On one of the warmest and sunniest days in April, we filled large wooden crates with garden soil, vegetable food and the tiny plants of tomatoes, cucumbers and peppers we had chosen. Then we dropped the carrot seeds into the dirt, following exact directions on how far down to push them and how far apart they needed to be spaced. Mostly we worked together, but after a while my daughters disappeared to work on their own project. They held out the result to me with pride. It was a small planter with dirt in it. I shrugged. The radish seeds were leftovers from last year. It seemed unlikely they’d grow. Yet, the girls faithfully watered that pot for days and surprisingly they were rewarded by the first hints of green. A day later, the pot was crowded by infant radishes. The girls must have dumped 20 seeds all into the same tiny space in the miniature pot. It was going to be really crowded in there. Unfortunately, even though it is hard and a little sad, we now have to make some tough choices. 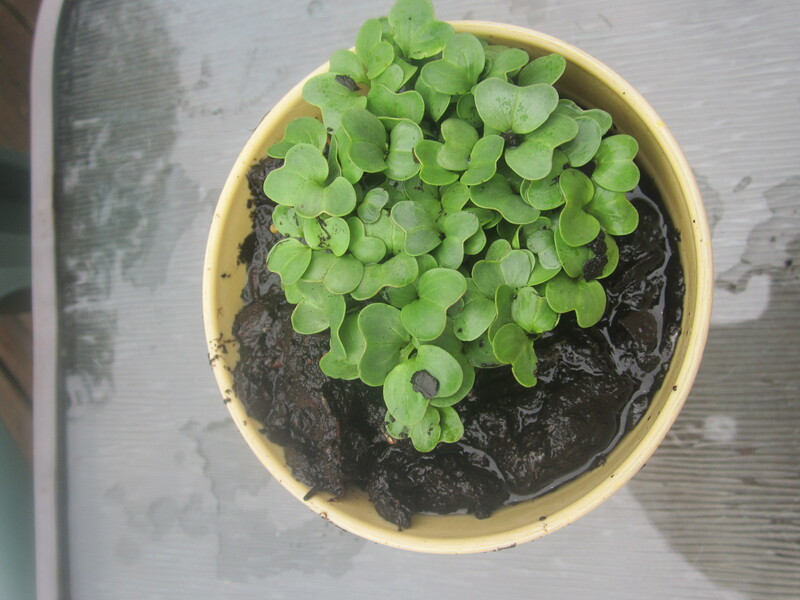 If all the radish plants remain in that pot, none of them will grow correctly. Some of them have to come on out of there. Sometimes our lives are just as crowded as that tiny radish pot. Every single seedling may have potential for beauty, growth, and produce, but nothing can grow when they are all shoved into the small space of one simple life and the restriction of 24-hour days. Even though it’s hard and a little sad, there are times when some things have got to go so that other areas of your life can grow to their full potential. It’s not always a mystery when choosing what to toss. When Jesus walked into the temple and saw the vendors hocking their wares–doves for sacrifices and loans for people needing money for their offering–He responded immediately. It didn’t take a second’s thought for Jesus to overturn their tables and chase the mercenaries out of the holy space of the temple courtyard. He threw out sin, contaminated worship, and the profanation of the holy. As soon as Jesus cleared the place, “the blind and the lame came to him at the temple, and he healed them” (Matthew 21:14). The only reason they could seek healing in the temple, the only reason there was room for the blind and lame to worship, was because Jesus had thrown out the tainted and unholy. Until Jesus cleaned house, there hadn’t even been room in the temple for those who needed God the most. Will we allow Jesus to overturn the tables in our heart where sin and the unholy have set up shop? Will we clear out the trash and the disgusting, so that we have room to come to Jesus—and to bring others along who need Him the most? Of course, it’s not always so easy to tell what has to go in our lives. We have a million choices of how to invest our time, energy, talents, and money, and all of them could be good. We could lead hundreds of crusades against a world of evil. But if we crowd out our lives with too much that is good, nothing will grow as it should. Jesus Himself exhibited the kind of focus we need, to hone in on our purpose and refuse to be distracted by every demand and need. During His ministry, mobs of people sought out Jesus for healing. He lived in a world of need, need, and more need, and He frequently healed those who sought out His help. But He didn’t heal everyone. In fact, when the crowds grew too large and people sought Him out for healing alone, He moved onto another town or He escaped the crowds in order to pray alone on a mountain or by the sea. Healing was fine. Miracles were part of His ministry. But it was not His main purpose for coming and He never wanted that to be the focus of His presence. Instead, He had come to “seek and to save the lost” (Luke 19:10) and “to save the world” (John 3:17). Maybe it’s time for you to pull out some of the extra radishes from your pot. The first ones to go are easy—yank out the sprouts of sin, the unholy habits and the remnants of the flesh life. Then prayerfully ask God to help you focus. What seedlings should you tend and invest in until you harvest their potential? What seedlings need to be set aside so that other areas of your life can grow? Determine to live an uncrowded life, a flourishing, growing, fruitful life of produce and harvest, made possible by intentional focus and the pursuit of purity in your life and worship.